I was standing in my kitchen last night making a batch of chocolate-chip cookies when I looked over at my TV and saw something that I couldn’t wrap my head around, something that just wasn’t right. Robin Williams, one of my all-time favorite actors (and human beings in general) was found unconscious in his apartment, having died of apparent suicide. My first thought was that this has got to be one of those ridiculous internet hoaxes that are sometimes seen. It didn’t make sense that Robin Williams could be really gone. How could a person whose voice and face were such a part of my childhood be finite? He had to be hiding somewhere, impersonating a fictitious and over-the-top but oh so loveable housekeeper or paying a visit to Never Never Land for an imaginary food fight with the lost boys. Or maybe he was just taking a nap in his magic lamp or playing a wickedly interactive board game, fending off monkeys and monsoons. He couldn’t really be gone. As the sad realization hit me that he had indeed died, that this wasn’t just some cruel prank, I couldn’t help but think of the pain he was going through, the inner struggles and demons he must have been facing right up until he took his life. There are so many people who are dealing with much more than we know; depression, anxiety, drug and alcohol abuse and other facets of mental illness. What breaks my heart is that these people often feel that they can’t ask for help; that they are “in this thing alone,” or even worse, that they are unloved or not worth it. Seeing the outpouring of sympathy, love and respect for this late beloved actor, father, and friend over the past 24 hours has been incredible; those who knew him, those who worked with him, as well as complete strangers who, like me, were touched by the talent, joy and immense heart that this man brought into our lives in some way or another, confirmed how much this man was loved, was adored, and will be truly missed. We’ve come a long way, but we still treat mental illness as a second-class disease. It’s evident in the choices we make as a society and, too often, in our actions as individuals. The stigma, though far less potent, lingers. Although we’re accustomed to hearing about artists and their hidden “demons,” Williams was such an effervescent, joyous presence that his struggles could put into sharper relief just how life-altering and devastating mental illness can be. If he couldn’t conquer it on his own, who could? The lesson would be one last, great contribution from an artist who made so many already. Through his work, he inspired people, he made us think, and he imparted wisdom that only he could do in a way only he could do it. Below are just some of the life lessons Robin Williams leaves us with. 1. It’s important to be an individual. 2. And to speak your mind. 5. Live life to the fullest. 6. And be eager to try new things. 7. Find the good in each situation. 8. The greatest gifts are the ones that can’t be bought. 9. Don’t be afraid to get in the game. 10. Always highlight your strengths. 11. Know that nothing feels as great or as awful as deep love. 12. A grand gesture goes a long way. 13. A true friend always sees the best in you. 14. And never forget, you hold the cards. Thank for you the laughs, for the tears, for the wisdom, and most importantly, for your ability to make us smile. You will forever be in our hearts. If you or someone you know is struggling with a mental illness, please seek out help and guidance. You are not alone in this and there are people out there who love and care oh so much. The poor guy, always the last to trample on a car or stampede down a hallway, snuffing and snorting along the way. Between you and me, he was my favorite. 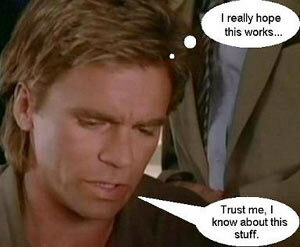 I was thinking today as I sipped my morning cup of Joe that Tuesdays really do get a bad rap. Well, it’s not so much bad as it is nonexistent. The day that is always left out, not recognized or special in any way; the snuffing and snorting rhino of week days. I mean, let’s think about it for a second here, guys. You have your Mondays: a day that is synonymous with feelings of dread, exhaustion from the weekend’s festivities, multiple snooze button presses and denial, (“Ugh. I have to go back to work/school already? It cannot be Monday already. It’s not really Monday, is it?”). Mondays signal the beginning of a very lonnngggg week. In between you and another two days of freedom stand five whole, longggggg days of work. Five, longgggg days. It may be this very reason that Mondays are most often than not also synonymous with crabby attitudes, bad luck, and an increase in purchases of pints of Chunky Monkey. Mondays. You gotta love to hate ’em. Let’s move on, shall we to Wednesdays. Hey Mike, Mike, guess what day it is Mike? Hump Dayyyyy!!! Wednesdays are pretty great; you’ve rounded that corner, are sitting pretty on that hump, and are in the home stretch of the week. The count down has officially begun to the weekend. No one can not not be happy on a hump day. Just ask this guy! Thirsty Thursdays. A tradition that dates back to those formidable college years of going out with your friends and getting sloppy drunk because, hey, the next day was Friday. Who cares if you missed class or rolled in, still very hung over? I can’t say that I have carried this tradition over into my post-college life all that much (oh who am I kidding? I didn’t follow this tradition WHILE I was in college), but the stigma still resonates with a lot of people. Most office happy hour outings occur on Thursday nights (of which I have taken part in. Karaoke + very inebriated coworkers = one very awkward and hilarious good time). TGIF. Friday, sweet, sweet Friday. I don’t know about you, but Fridays have always been my favorite day. Even though I am at work most of the day, there is this air of hope, of wonder, of possibility that the following two days were mine for the taking. I could do anything I wanted (or didn’t want to do. Sometimes a weekend chock-full of nothing is just what the Doctor orders). I could go out with the girls, dine at some swanky restaurant, or stay in and gorge on junk food and Netflix. And I could do it all knowing that I have two FULL days of freedom at my exposure. Saturday and Sunday kind of go without saying. It’s the frickin’ weekend, baby! You see, all of the above days have a meaning, a purpose, a reason for applicable GIFS and jokes. Well I am here to change that, folks. Let’s give Tuesdays the same honor by giving it it’s own special “thing”. Taco Tuesday? Meh. It’s alright, I guess. 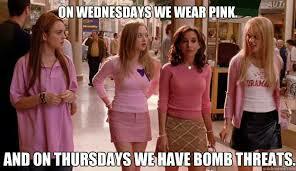 How about on Tuesdays, we all wear pink? No…that’s Wednesdays. Shoot. Comment below and let me know what you think we should do to remedy this poor rhino of a day. Woo–this week has been a doozy! Ack. I just have still SO much to do before Christmas gets here; shop, decorate, bake eat cookies, find a cute holiday dress, get invited to a party to wear said cute holiday dress. I guess I better get started, huh? Favorite treat: Sweet & Salty Candy Bar Blondies. The goo factor! I can’t even handle it! Favorite LBD: Little Black Dress. Lace? Little? Check. Black? Check. Super cute way-above-my-price-range-yet-I-cannot-help-myself from-drooling-all-over-it’s-beautiful-lace dress? Check, check, check. Oh LuLu’s, you’ve done it to me again. 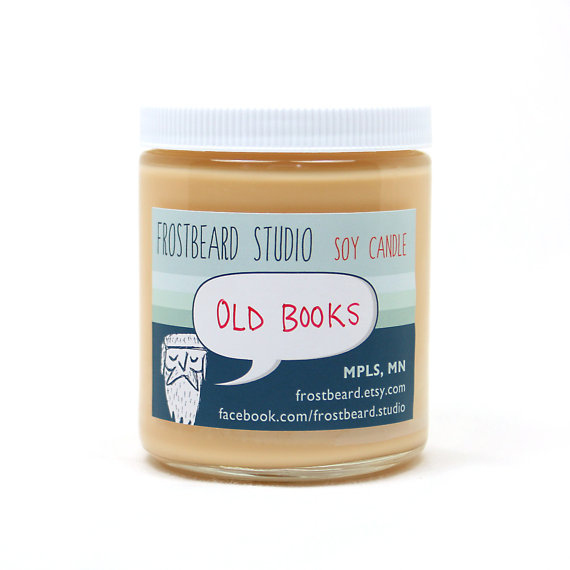 Favorite find: A candle…that smells like OLD BOOKS! YES I AM YELLING!!! How amazing is this?! I’ll take five, please! Favorite jam: Lorde has been on replay hard lately. But can you blame me? Her voice is so unique and the lyrics to her songs are so relatable and very catchy. Check out her latest Team. Favorite DIY: Sweet Potato Tator Tots. Homemade SPTT?! Must try! 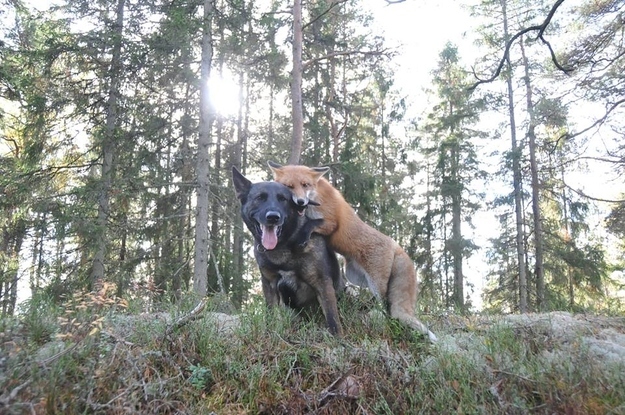 Favorite feel-good story: The real fox and the hound. Such a heart-warming story. If only humans were this accepting of each other. Favorite read: 15 Ways to Stay Married for 15 Years. No gimmicky “Cosmo” advice here – just real, practical ideas for keeping your marriage strong from a couple that just celebrated 15 years together. Favorite four-legged friend: Dogs Who Don’t Know How to Pose for Pictures. I seriously laughed for 10 minutes at these pictures. Hilarious! 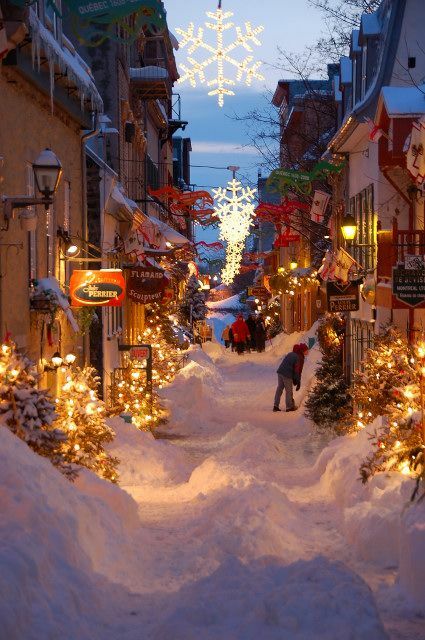 Favorite take-me-there: Old Quebec during Christmas. How truly magical! Have you ever waged a quiet, ten-minute war against a stubborn price tag? You know how it is; Slapped on the side of a souvenir, stuck to the bottom of a vase (vahze), you spot the sticker and start peeling it off with your fingers. But then it quickly tears and you are left holding the sad little scrap in your hand with the remaining bit stubbornly laughing at you. So you start peeling again from the other side but alas, it’s no use. That darn little piece of sticky rips off too–leaving you stuck with a sticky square of sticky frustration. That’s a lot of sticky. That’s when it’s time to roll up the sleeves. It’s time to go Domestic MacGyver on it–wheeling out big guns like the edge of a credit card, nail polish remover, Windex, or even a hair dryer. Nothing is off limits as you fight for your right to give a non-sticky boxed action figure to your nephew (or boyfriend/husband/dad) for his birthday. So you rub in oils and lotions, dig your fingernails in there, and finally–huffing and puffing like that poor little Rhino from Jumaji–, smear it all off. It only took a million years to do so, gumming up your fingers and causing a great deal of stress in the process.